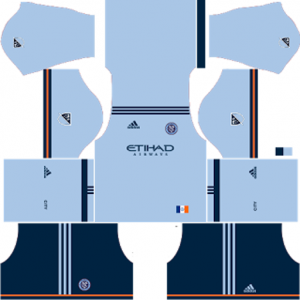 How To Download New York City Kits for DLS: Are you still searching for Dream League Soccer New York City kits and logo URL? Now the good news is, fans of the football game Dream League Soccer can now download the new released DLS 512×512 Kits and Logo URL for your New York City Team and enjoy the game. New York City team is a professional based in New York City, New York. The nick names of this football club are The Pigeons, The Bronx Blues, The Blues and The Boys in Blue. 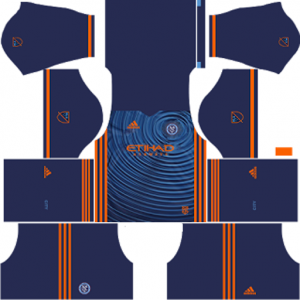 This club competes in Major League Soccer(MLS), which is the highest level of American soccer, and is a member of the Major league’s Eastern Conference. This football club was founded on May 21, 2013. The club began to play in 2015 as the twentieth overall expansion team of the league. It is the first franchise to be based in the city, and the second in the New York metropolitan area, after New York Red Bulls, of which they contest the Hudson River Derby. Jason Kreis was appointed as the club’s first coach, remaining for a singular year prior to being replaced by Patrick Vieira. Vieira guided New York City to their first MLS Cup playoff appearance the following season, as well as a runner-up berth in the Supporters’ Shield. 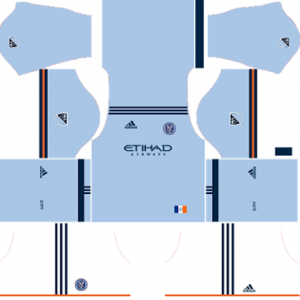 If you’re a big fan of DLS New York City Team, these kits are for you. 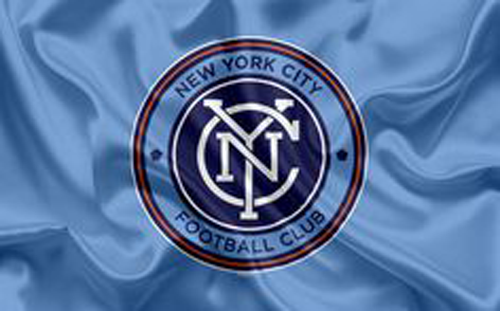 Download New York City Kits and logo for your team in Dream League Soccer by using the URLs provided below. To download New York City kits and logo for your Dream League Soccer team, just copy the URL above the image, go to My Club > Customise Team > Edit Kit > Download and paste the URL here. If you have any request, feel free to leave them in the comment section.